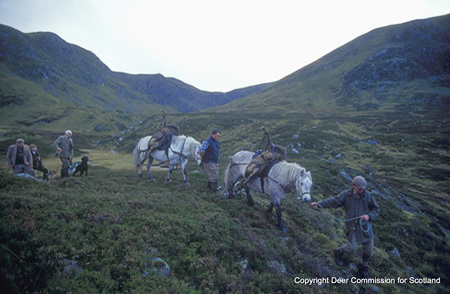 There are a number of websites and tools relevant to managing wild deer in Scotland. Browse the links below to explore these useful resources. A gateway to information about the environment in Scotland. It brings together information and data from a range of organisations involved in protecting and improving Scotland's environment. Scotland's framework to guide local decision-making and improve delivery of deer management. The WDNA website contains a range of documents and actions plans dedicated to delivering the framework. The Best Practice Guides provide information about relevant legislation and on how best to reinforce three central aims of public safety, food safety and deer welfare. The Deer Code is aimed at all who own or manage land where wild deer are found, or manage wild deer on someone else's land. The Code came into effect in 2012. Scottish Parliament Information Centre briefing on wild deer in Scotland, written by Tom Edwards and Wendy Kenyon in 2013. Includes information about the law relating to deer managemnet, policy on wild deer, deer management groups and deer impacts/issues. This benchmark sets out the criteria whereby a Deer Management Group (DMG) can assess and demonstrate its effectiveness in relation to the Code of Practice on Deer Management. Annual review documents of the British Deer Society, including research and training updates. Newsletters, consultation responses and other publications of interest on the Lowland Deer Network site. Findings of a project on collaborative frameworks in land management, part of the Rural Economy and Land Use Programme. Information on the Isle of Rum Red Deer Project, including a list of over 150 peer reviewed papers. Website of the ADMG where 35 deer management plans are publicly available. Information about Scottish venison from both wild and farmed deer. An independent company which exists to maintain, develop and promote Quality Assurance Standards throughout the whole venison industry. A forum for vets working with deer. Professional body representing Scotland's wildlife managers. Information about their work and aims, news, online magazine, politics and discussion forum. Interactive site offering basic advice on how to avoid a collision on the road with deer and a form for reporting incidents.